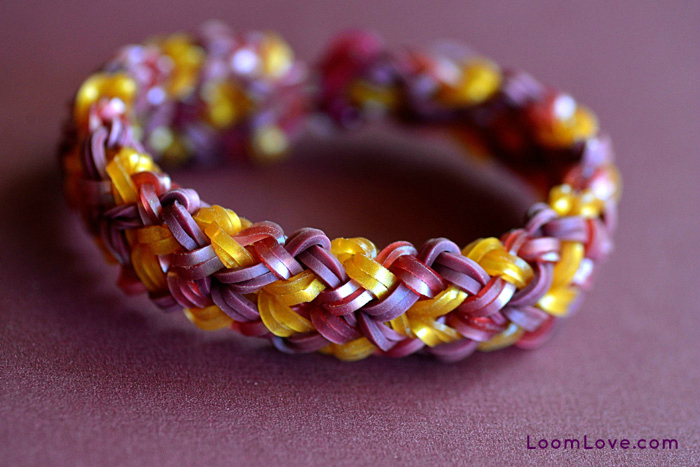 Are you ready to make the most awesome, fun bracelets EVER? 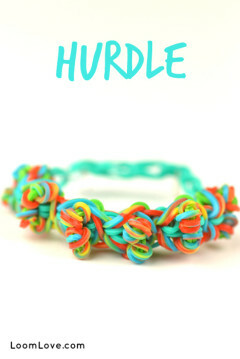 Then jump into Totally Awesome Rubber Band Jewelry! 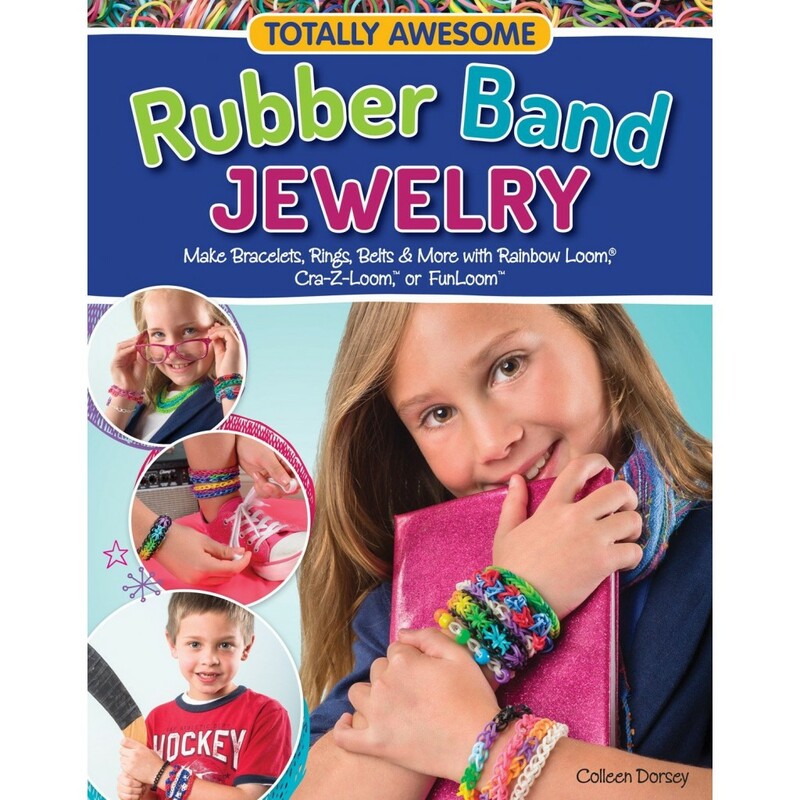 With this new book and your Rainbow Loom®, Cra-Z-LoomTM, or FunLoomTM, you can make all of the cool rubber band accessories that are driving the hottest crafting craze in years. 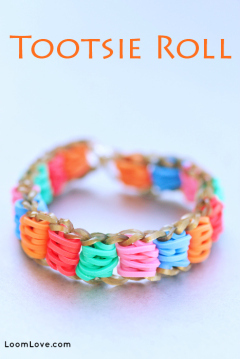 If you are new to the Rainbow Loom, you’ll want to check out Colleen Dorsey’s Totally Awesome Rubber Band Jewelry. 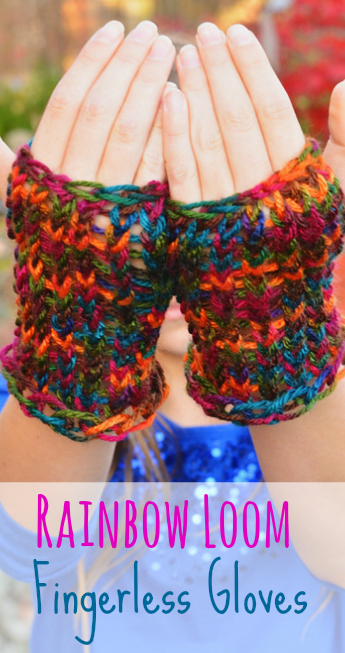 This book is ideal for anyone who has just started looming. 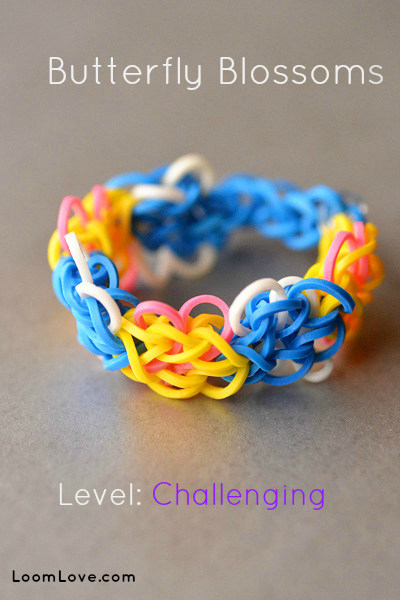 It offers clear instructions with photos and diagrams for 10 different Rainbow Loom designs – most of which are easy peasy. Another nice feature of the book is that it offers tips and tricks (i.e. 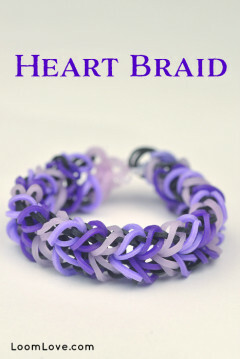 how to make slip knots; how to add extensions; how to finish bracelets; how to add beads), as well as ideas for colour combinations. 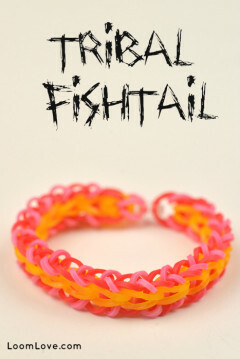 One thing we found a bit confusing is that some of the bracelets in the book have different names. For instance, the book calls the Triple Single, Triple the Fun; and the Zig Zag, the Back and Forth. 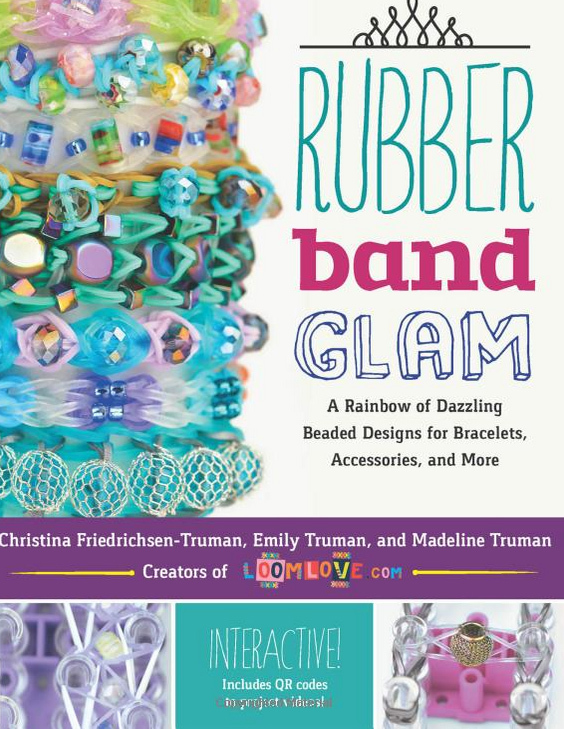 If you are already a Rainbow Loom whiz you won’t get much out of this book. 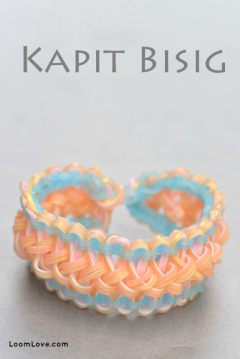 If, on the other hand, you are buying someone a Rainbow Loom as a gift and you want the perfect accompaniment, buy this book! (We are donating a few Rainbow Looms to a local charity and we bought some of these books to go with the looms.) 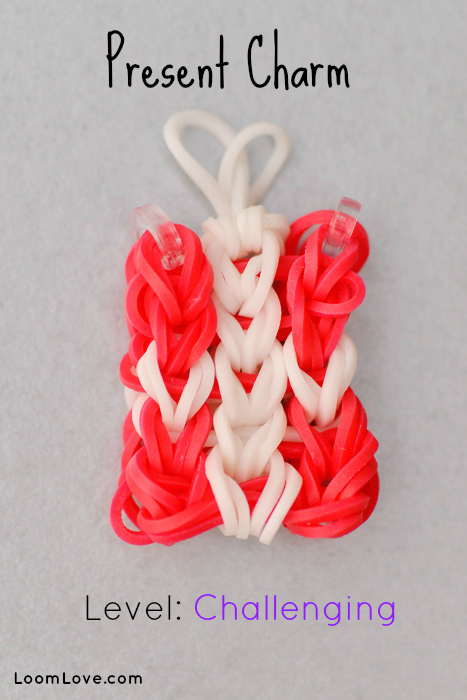 Although Youtube is an excellent resource for making Rainbow Loom projects, Totally Awesome Rubber Band Jewelry is ideal because you don’t need access to a computer. 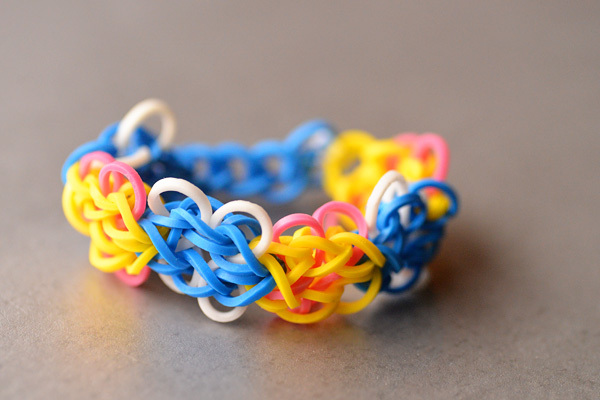 You can slip the book into your backpack and bring it to school with you – that is, unless Rainbow Loom has been banned at your school. 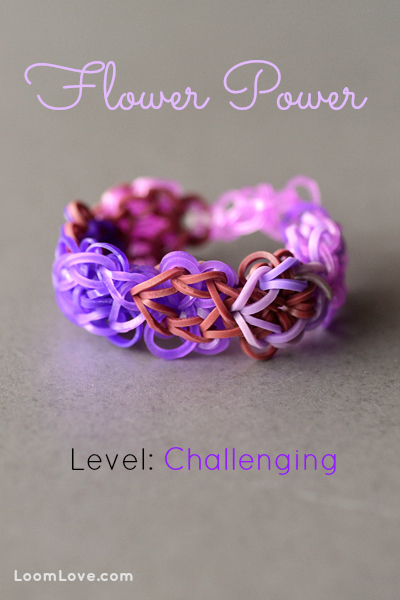 Butterfly Blossoms is the perfect bracelet to make on a cold, dreary day. It’s an instant pick me up! 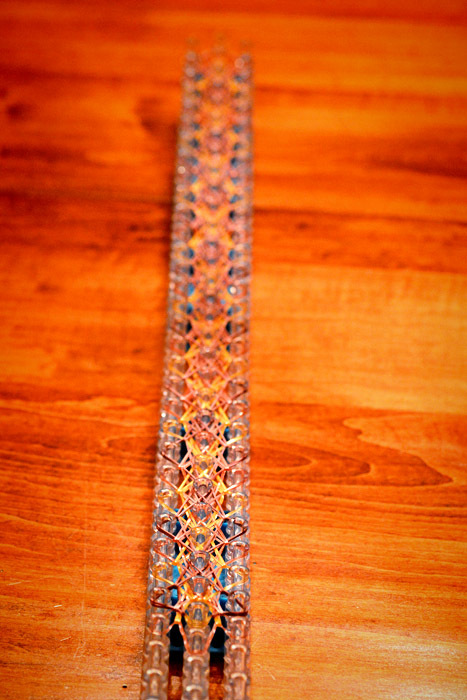 We think Butterfly Blossoms has a similar pattern to the Flower Power Bracelet, which is another must-try design. 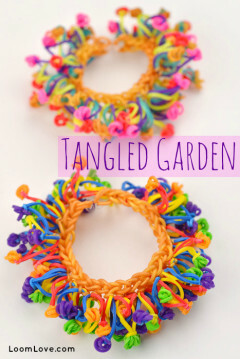 The Flower Power bracelet is a beauty, don’t you think! 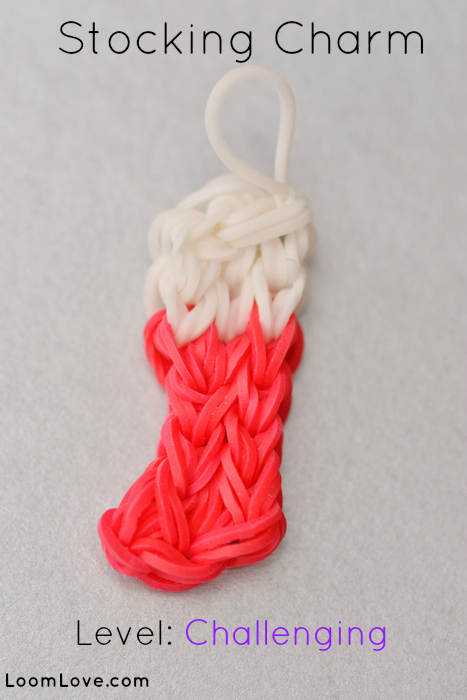 Want to make a cute Christmas Stocking charm to add to your Holiday Rainbow Loom collection? 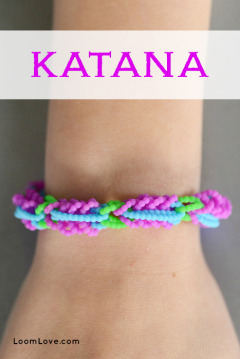 Watch this tutorial by Kay K.
Since it’s almost Christmas, we thought we’d get a little festive with our Rainbow Loom Panda. Who says all pandas have to be black and white? 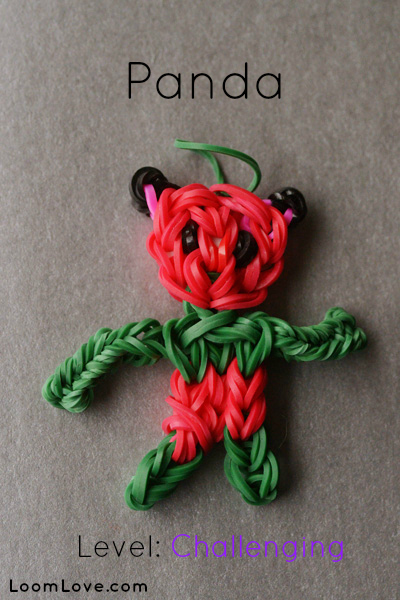 Want to make your own panda? Check out this video by Dana Lenz. 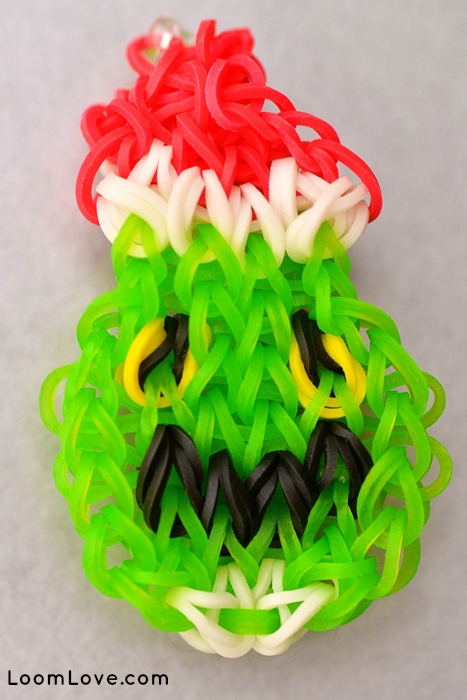 The Grinch is one of our favorite Christmas stories, so we were pretty excited when we discovered Rockaway Othodontics tutorial for the Grinch Bracelet. 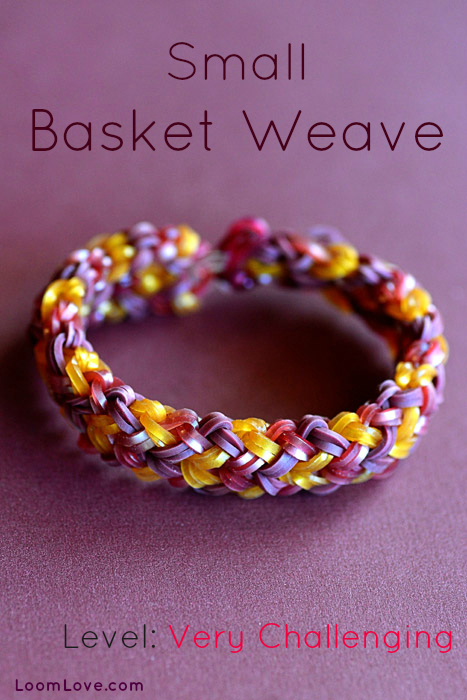 When we first set our eyes on the Small Basket Weave design, we knew that we had to give it a try. 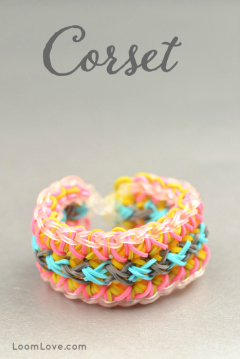 It looks similar to the Double Braid, which we love! 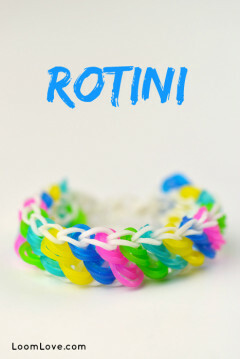 We used our brand new metallic Rainbow Loom bands to create our bracelet. 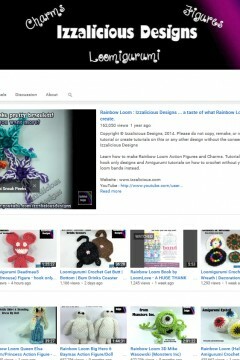 Creativity4Kids‘s instructions are clear, however the video is sometimes difficult to follow. 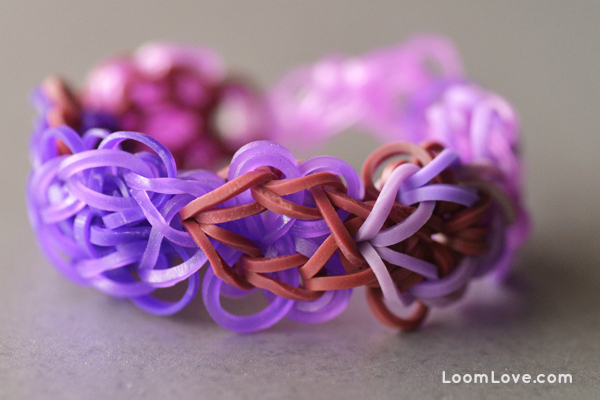 It would have been easier to follow along if the camera was zoomed in closer on the Rainbow Loom. 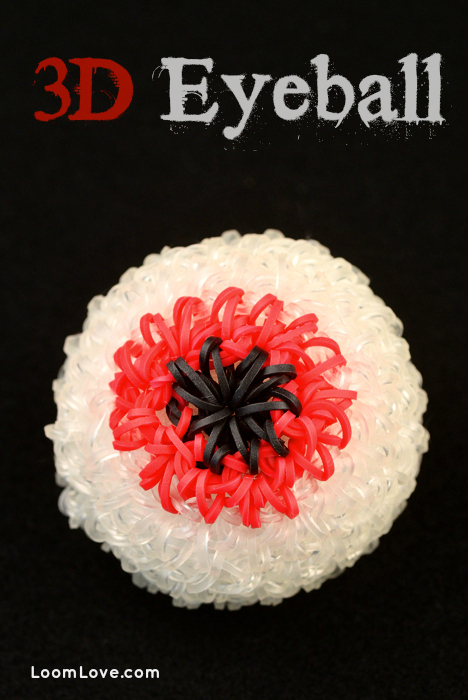 Because of this, you will need to watch this tutorial on a tablet or iPad. It would be extremely difficult to follow along with an iPhone or small screen device.